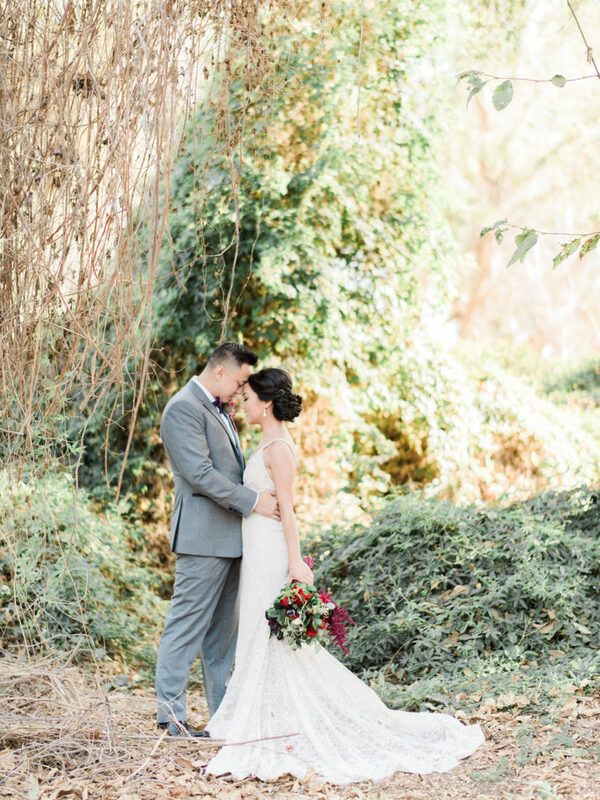 This bride could not be more elegant as she said “I DO” among the pine and leaves. Our Belles knocked this look out of the park. 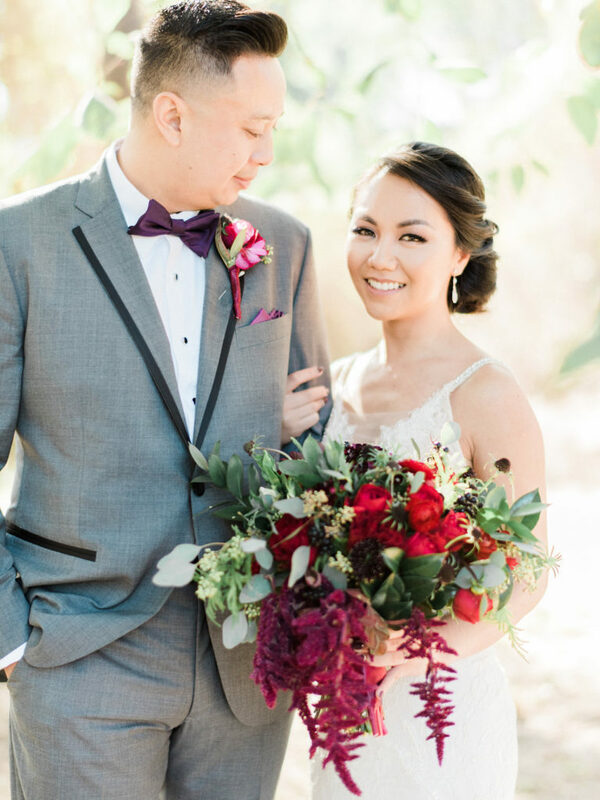 They created a natural look that complimented the bride’s great facial features as well as the environment of the ceremony. 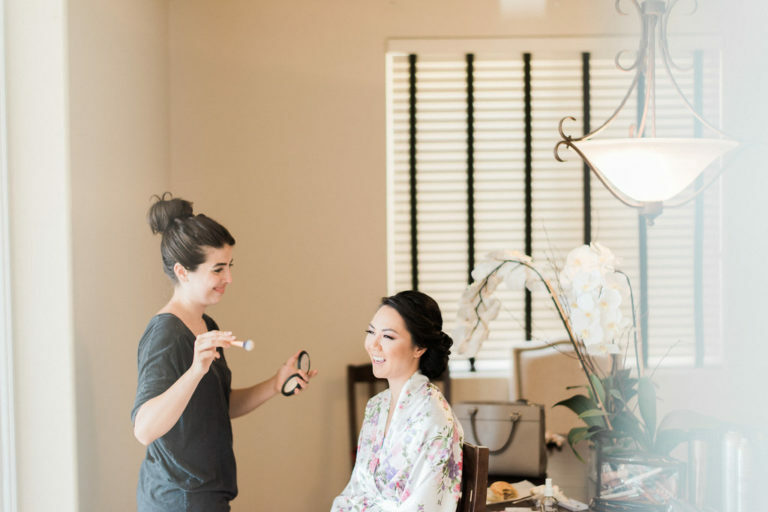 Using golds, browns and neutrals, the makeup truly brought out the inner beauty that this bride carries. As for the bridesmaids, our Belles kept it true to each girl. We had some fabulous winged eyeliners and earthy golden eyeshadow. As they stood all together each look flowed together with beauty and joy. 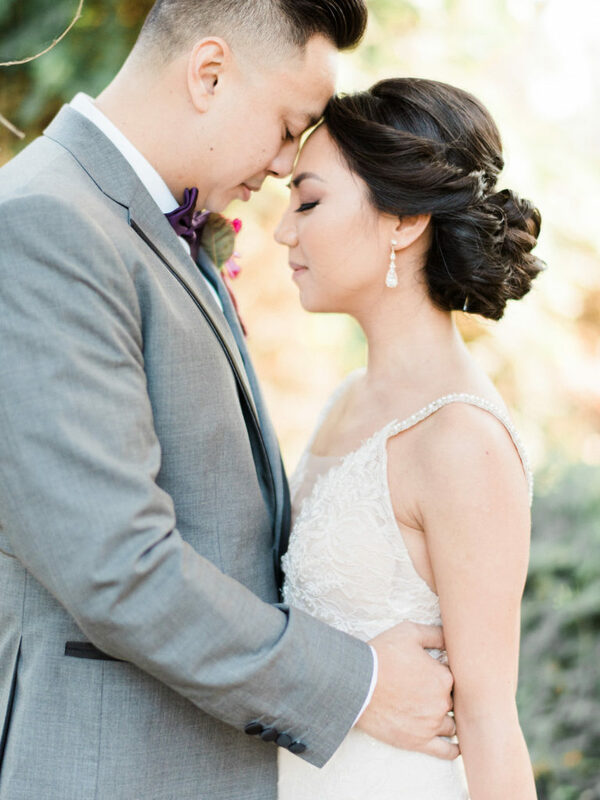 To keep the earthy and elegant look consistent, our Belles created a very sophisticated up-do. 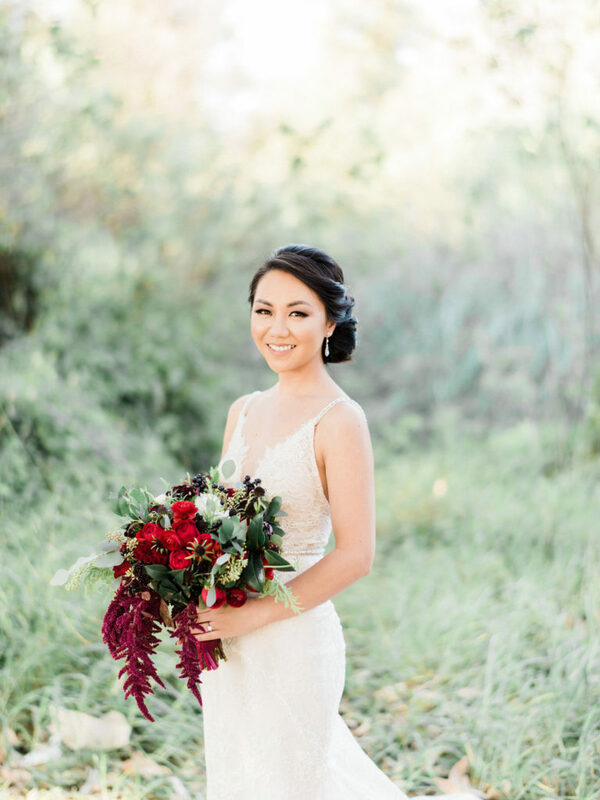 A twisted bun sitting at the base of the neck looked stunning with the bride’s beautiful thin strapped dress. 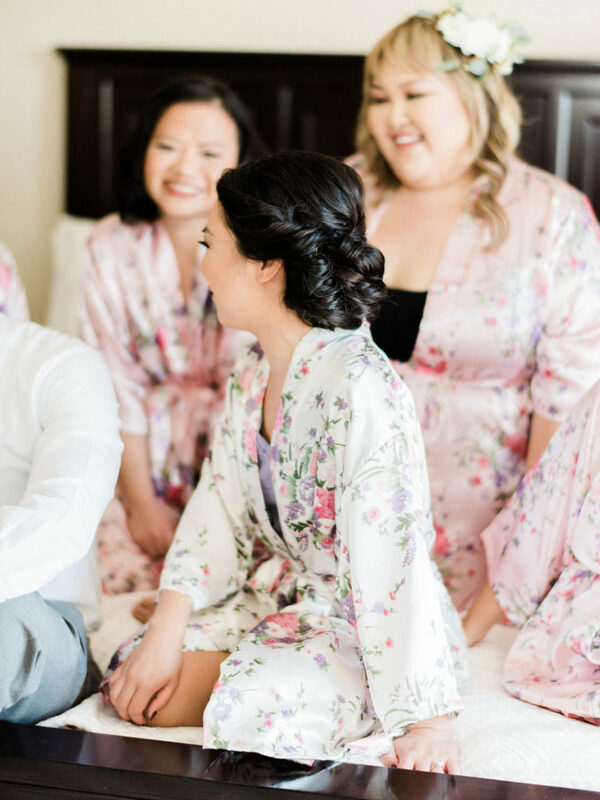 Her bridal party continued the elegant look with the classic loose curls. 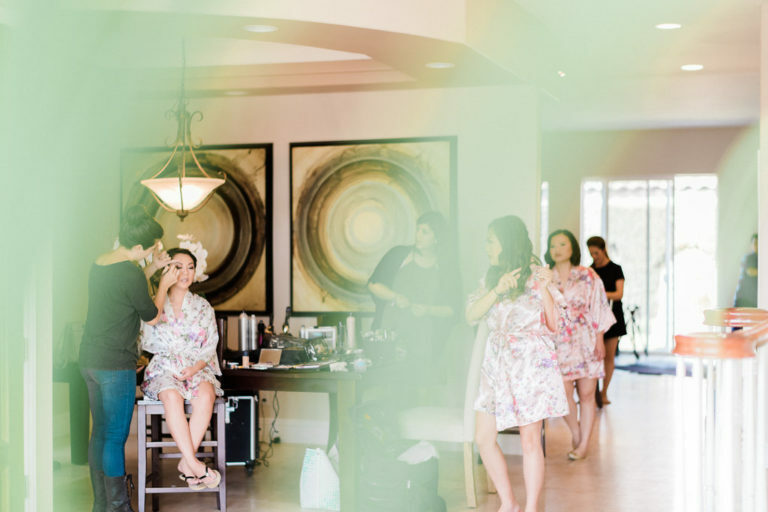 While some bridesmaids chose to let loose and keep it down, while others decided to go for the polished half up style. 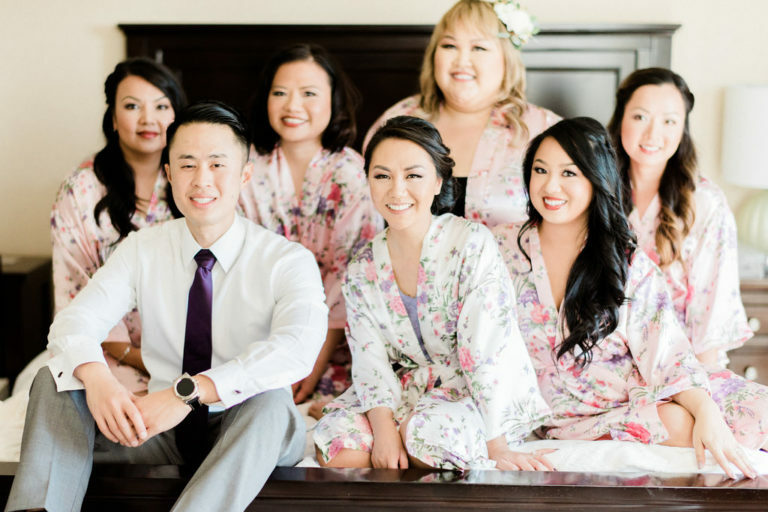 All together the bride and her closest friends looked breathe-taking on the day that will be remembered forever! Newer PostVanity Belle OC Turns Two!